Monday & Friday by appointment. Having a family reunion or out of town guests? Book a tour of the museum! ~ In 1839 a young attorney from Indiana, Pennsylvania moved his family to the newly established town of Clarion, PA. His name was Thomas Sutton, grandson of Peter Sutton, a Revolutionary War veteran originally from New Jersey. In 1841 Thomas Sutton was accepted into the Clarion County Bar Association and quickly became a well respected and admired attorney. ~ Nine years later, in 1850, he constructed a two-story rough brick structure on the south side of the Clarion Courthouse Park Square. It was a two-story rough brick home with a front and side porch. Sometime between 1841 and 1851 a small brick structured law office was constructed on the northeast corner of his property. ~ Sadly, the Sutton family enjoyed their new home for only three years. Mr. Sutton contracted typhoid fever and died on March 26, 1853 , and three days later his young son, Thomas, Jr., died of scarlet fever. Three weeks later, Mrs. Sutton's eight year old daughter dies of scarlett fever. Thomas and his children are buried in Clarion Protestant Cemetery. Mrs. Sutton moved back to Indiana, PA and later moved to Philadelphia and opened a girls school. ~The home saw a number of owners over the next half century. During the mid to late 1890's John Keller operated a school for young boys in the home, and then in 1908 it was purchased by Mr. and Mrs. John A. Ditz. Mr. Ditz owned the Ditz & Mooney hardware store on Main Street in Clarion. ~ Shortly after the Ditz family took possession, local residents were seeing many changes taking place at the former Sutton home. As owner of the local hardware store, Mr. Ditz had access to the finest lumber and other materials for his new home. The roof was raised to create a full third floor, finished brick was placed over the original rough brick, plate and leaded glass windows were installed on the first floor, a large, balconied Greek Revival front porch and a two-story back porch were added to the home. ~The interior was completely remodeled in 1909 , and the house still features the original open back staircase; oak, maple and chestnut woodwork , including carved mantles of the same woods in each room, and the original lighting fixtures. The home is a transitional representation of the late Victorian, Greek Revival,and early Arts and Crafts Movement. ~ After the depression years the Ditz family operated a "Tourist Home" for short term guests and long term residents. 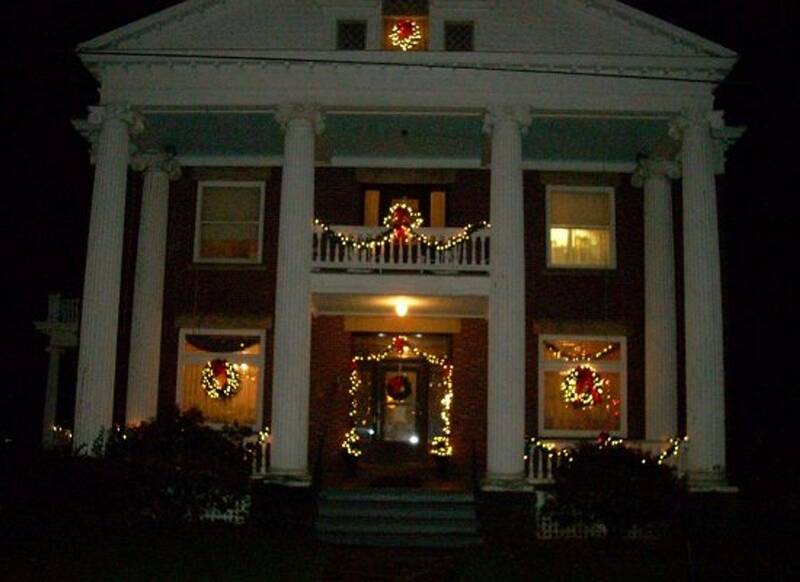 ~In 1976 the Clarion County Historical Society was looking for a location to house a growing collection, and purchased the house from the Ditz estate for $80.000, made possible with donations from the people of Clarion County. ~ Today, the home is maintained and operated Society as a museum with period rooms, a Military Room, A DAR Women’s History Room, a "General Store" , Industry Exhibits and changing exhibits from the Society's collections. 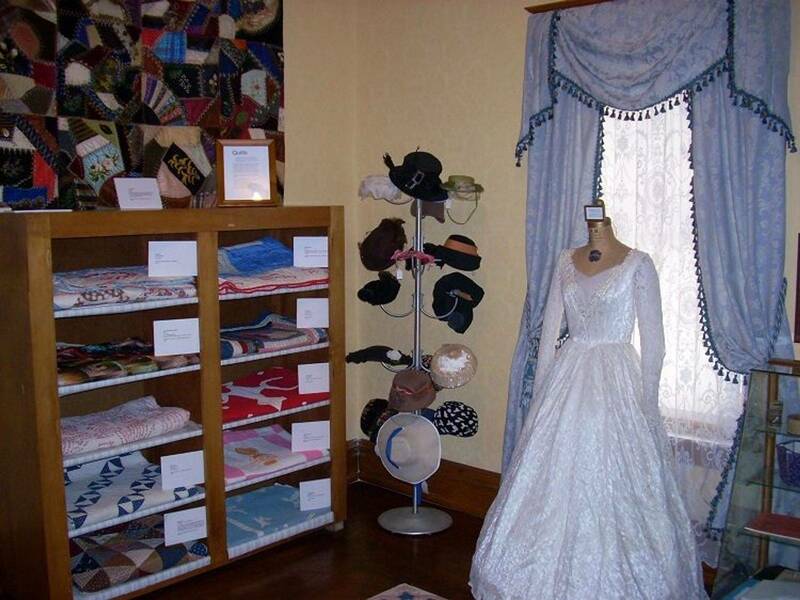 ~The Society holds lectures, classes, Victorian Teas, Etiquette Classes for children and college students, and many special events at the Sutton-Ditz Museum. CCHS is a 501(c)3 non-profit, educational institution. 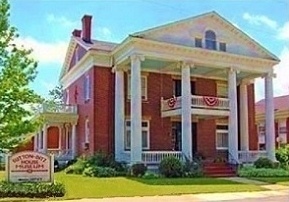 ~ The official registration and financial information of The Clarion County Historical Society may be obtained from the Pennsylvania Department of State by calling toll-free, within Pennsylvania, 1-800-732-0999.